If you’re a beginner looking to enter into the cycling world, you might find that there are a few bikes that will cater to your needs. In any case, with many of the beginner bikes regularly costing $ 1000 and more, it's easy falling into the trap of thinking that beginner bikes are prohibitively expensive. The good news is that you do not necessarily have to dig deeper into your pockets to get the perfect beginner road bike. After scraping and scouring through the internet, I found one bike that will tick all the boxes when it comes to an entry-level bike, and more importantly, a bike that won’t break your piggy bank. I’m referring to the Vilano Forza 4.0 road bike. The Vilano Forza is a simple, elegant and convenient bike and offers all the necessary features for a great starter road bike. Designed in mind with the needs and pleasures of both sexes, the Vilano 4.0 is the perfect entry level road bike, well suited for adventure and commuting. Vilano 4.0 is made utilizing only the finest material. Thus, the sleek and stylish looks will get heads turning as you blast by. More importantly, it doesn’t weight much, and this lends itself perfectly to somebody who is looking for a fast bike. Perfect for any kind of weather or road terrain, the Vilano is easily adjustable to suit the varying requirements and can hold and maintain its maneuverability through turns, inclines, and flats. Though it’s designed for the beginners, the Vilano is perfectly suitable to an array of different types of riders, and probably best suited for someone looking for a road bike to use on their daily commute. With a friendly price tag, it’s attractive to those on a budget and an ideal bike for training. Despite the Vilano having an aluminum frame, it is more than capable of matching carbon fiber based models. In any case, most of the riders use the Vilano for competitions across the countryside and on the rough terrains. Vilano Forza 4.0 is a true definition of craftsmanship; this bike is manufactured with attention to detail, not to mention it has a slew of exciting premium features that will make your cycling experience more memorable. Having a strong bike is a desirable feature, especially if you are going to ride for long distances on a rough road or a road full of holes. The Vilano Forza is constructed of double butted 6061 aluminum frame alongside a 700cc steel racing. The 6061 alloy aluminum frame is immensely robust and durable at the same time. With the strong aluminum frame, users of the Vilano are always guaranteed of long-lasting durability. Still, on the frame, this bike is versatile thanks to the varying frame sizes. The frames on the Vilano are available in four sizes: 49, 53, 57 and 61 centimeters, and thus, the bike is accommodative and will it riders of virtually any height from 5 feet to 6 ½ feet. A bike’s weight is vital when it comes to fast and long distance riding. Sporting an aluminum construction, the Vilano is as light as it can get. With the Vilano, there is no excuse to be late or work or to meetings. The aluminum construction gives this bike a perfect combination for lightness and strength for high speed. When going through a rough road, it’s prudent that you have control over your bike. The Shimano STI Integrated Brake Lever Shifter on the Vilano Forza will provide you with strong control over the gear. Moreover, these top quality gear shifters can perform in on off-road. 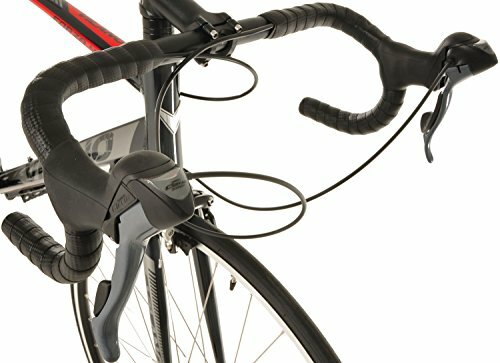 Positioned on the brake levers, the shifters are easily accessible, allowing to shift up or down without any fuss. With the Shimano STI, you can now take turns easily and smoothly at the highest speed, and this will result in optimal usage of speed stroke on the bike. Reportedly, some of the users claim that the shifter is noisy at speed, but the good news is that this doesn’t affect the speed of the bike or the functionality of the shifters or gears. 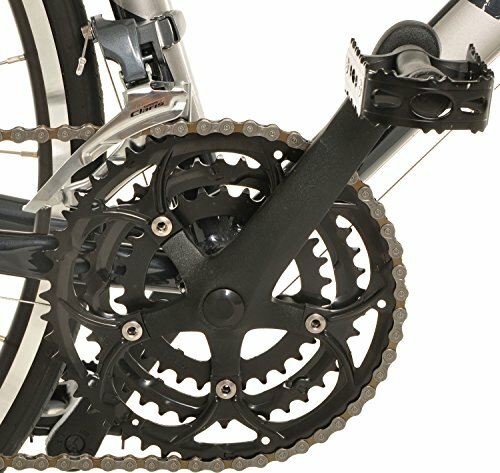 Beyond the STI Shifter, the Vilano is fitted with a derailleur with a total of 24 gear speeds, which is an overkill for casual riding or hill climbing. With multiple gears, you now have the ultimate control over any situation on the road. The 24-speed will hold nothing back, and having such a wide gear ratio will not only allow easy hill climbing but better performance on city straights. The combination of the 24-gear speeds plus the awesome Shimano STI shifter will all work together collectively to guarantee a comfortable, and easy cycling experience regardless of what the terrain throws at you. The Forza 4.0 handles braking excellently, and the components used for the braking system are high-quality, and you won’t encounter any issues with it in the long term. 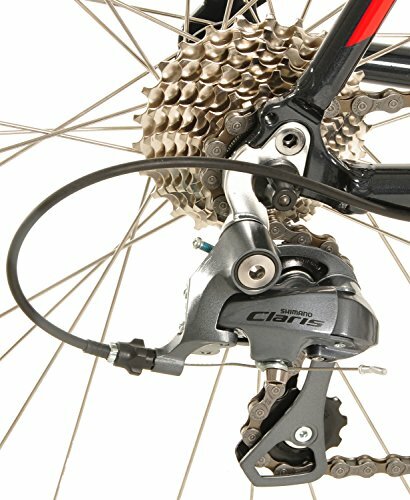 The Vilano utilizes caliper brakes, which are present practically on every road bike out there. The caliper brakes will squeeze the rims and are adjustable using a screw. However, the caliper brakes are a tad heavier than some of the brakes used by Vilano, but in exchange, they offer unmatched performance and their longevity is unparalleled. As the caliper brakes start to wear, they usually wear down, and it’s therefore recommended that you periodically check for uneven wear on the brakes and adjust them accordingly. Rims are essential to maintain position and control. Vilano utilizes Weinmann 700c Doubled Walled CNC Machine Anodized rims. These rims are not only sturdy, but they are excellent at responding to maneuvers are neck-break speeds and in rough terrains. Given they are lightweight, despite being double walled, they will allow you to perform well in triathlons and races. For the tires, you get default Kenda 700c * 23c, which are the standard tire sin a majority of the road bikes. These tires will provide you with a good grip, and this is even though they are pretty narrow. As we had mentioned in the beginning, the Vilano is a road bike that will get heads turning. It's an aesthetic piece, with stylish allure. Often, people will mistake it thinking it’s a thousand-dollar bike, but in reality, it’s an affordable piece that is lowly-priced than it looks. 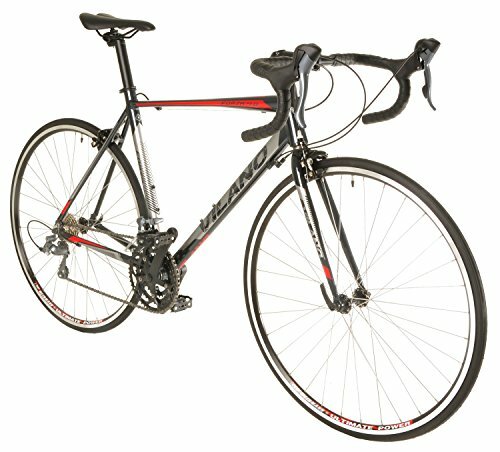 As a first-time biker and an enthusiastic bike lover, you'll love this road bike. 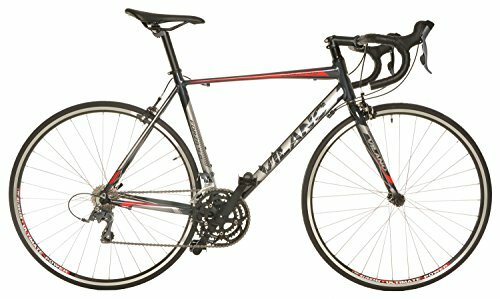 Perfect for tours, training, city cycling, adventure, and triathlons/racing, I would recommend this bike as I have experienced lots of happy moments with my riding. And believe me; do not let the price tag deceive you-you’ll get the $1000+ riding experience at an incredibly affordable price.